The L Word | American University Washington D.C. Despite the negative stereotypes, American University professors and students explain the merits of lobbying. 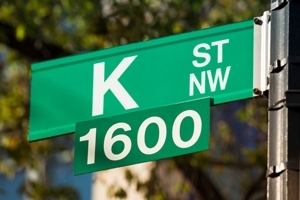 The K Street lobbying industry is sometimes labeled a fourth branch of government. Yet despite possessing Washington’s most valued currencies—power, influence, and actual currency—lobbyists also have an image problem. They’re in the cross hairs of the public, inclined to hate all things Washington. They’re also derided by politicians—the same ones who employ future lobbyists while often preparing for lobbying careers of their own. But are lobbyists being unfairly targeted? After all, the right to petition your government is protected under the First Amendment. Yet how exactly a lobbyist exerts influence on legislation and regulatory policy is the main point of contention. American University’s School of Public Affairs (SPA) explores some of the gray areas through the Public Affairs and Advocacy Institute (PAAI), part of the Center for Congressional and Presidential Studies (CCPS). School of Public Affairs professor James Thurber started PAAI, and SPA professor Patrick Griffin is currently PAAI’s academic director. The institute is an intensive, two-week course that examines major aspects of lobbying and political influence. Additional advanced workshops are offered in specific lobbying areas, such as direct mail and grassroots. “We don’t shy away from the controversy that surrounds lobbying, some of which is well-founded in dealing with the scandals that have emerged. But we also talk about the reforms that are being generated and implemented,” says Griffin, who served in the Clinton White House as assistant to the president for legislative affairs. Thurber also organized an international “Conference on Lobbying Reform in the U.S. and the E.U.,” which took place on March 17th and was cosponsored by the School of Public Affairs and the School of International Service. The idea behind the conference was to compare and contrast how lobbying is handled in the United States and Europe. In an interview, Thurber talks about resistance to lobbying reforms on both sides of the Atlantic. Europeans rely largely on voluntary transparency from their lobbyists, and while the U.S. has regulations in place, Thurber says enforcement has been weak. Some U.S. reforms were enacted in 2007 following the scandal of disgraced super-lobbyist Jack Abramoff (“Casino Jack”), but Thurber still sees a system that’s been corrupted. With worries about violating the law, many lobbyists have de-registered as a way to avoid scrutiny. “If you registered and then you break the law, you can go to jail. If you don’t register, there are no consequences for it,” Thurber says. Some senior government relations professionals consider themselves “advisers” or “consultants,” which enables them to evade lobbying registration. Thurber says some rules, including restrictions on flight travel with members of Congress, are too narrow in scope. “There can’t be a registered lobbyist in the plane. But the CEO of Boeing can be in the plane, and he gives all the money. The lobbyist doesn’t,” Thurber explains. Thurber also describes lavish spending and aggressive lobbying that would make House of Cards’s Remy Danton blush. Yet AU students also learn the merits of lobbying and advocacy. “I wouldn’t be involved in teaching lobbying if I didn’t think it was an honorable and important profession. I think it’s a very sophisticated one. It takes a lot of thinking and doing to be effective at it,” Griffin says. Politically-minded AU students are certainly exploring careers on K Street. Demetrios Festa is a senior political science major set to graduate in May. He’s also currently a public policy intern with Patton Boggs, giving him the chance to observe savvy lobbyists in action. “I’ve been able to work hands-on and develop not only communication skills, but just learn more about the process,” Festa says. Festa is planning to attend law school in the fall, but he’s strongly considering a career in lobbying after he finishes school. He took the PAAI course with professor Griffin. “He brought in all sorts of different speakers and took us to visit all different types of firms, and that really provided a more in-depth look into the field,” he says. Awesta Sarkash is earning her master’s degree in political science in the School of Public Affairs. Taking the PAAI course bolstered her interest in lobbying, and now she hopes to land a job in the field. “When I took that class, we had to develop a lobbying plan regarding a particular issue. And in our case, it was comprehensive immigration reform. And you have to get a lot of data, you have to get a lot of research, you have to do polls and surveys,” she explains. This same campaign forced her to deal with a real-world dilemma that many lobbyists confront: arguing for a cause you don’t necessarily agree with. “It’s smart because I’m for immigration reform, but I was on the team that was against it. So you have to be creative,” she says. Now citizens are finding more and more outlets for advocacy. The traditional image of the lobbyist is a well-dressed man hobnobbing at the Palm Restaurant for corporate interests. But plenty of lobbyists fight for charitable causes, such as ensuring veterans’ care or eradicating child poverty. And through technological advances, a greater number of people can have their voices heard in Washington. An AU alumna, Caroline Goncalves earned her undergraduate degree in political science from SPA, and she’s now getting her master’s in public policy there as well. She’s currently working as associate director of federal advocacy for the American Speech-Language-Hearing Association. She notes how technology has transformed the lobbying world.